Moving in or around Johannesburg can be a very expensive task. The highest expense when moving is the transport of your furniture and boxes. Traditional furniture removal companies work well but their prices are generally astronomical. Due to high costs that are involved with moving, many people choose to do their move on their own which is time consuming and can end up costing you more time and money! To keep moving costs down, we’ve come up with a low cost furniture removal solution that will save you time and money! Your move just become a whole lot easier and faster! We provide you with a truck, a driver and the option of a crew. On moving day, we will arrive at your selected pickup point, load the truck and move your furniture and boxes to your new location. It’s really is as simple as that. For furniture moves, we recommend that our panel van fleet be used as these vehicles offer the best protection and security for your furniture. We stock both 4 and 8 ton panel vans. The amount of furniture and boxes you have determines what sized truck should is used. The ultimate goal to reduce costs to to move your entire household in one trip. For more information on Johannesburg furniture removals, please give us a call on 0861 44 55 44 or email us at info@powertruckhire.co.za. 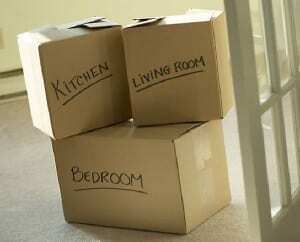 We also offer a national moving service, we are located in Johannesburg, Pretoria, Polokwane, Durban and Cape Town. Don’t delay, give us a call today!